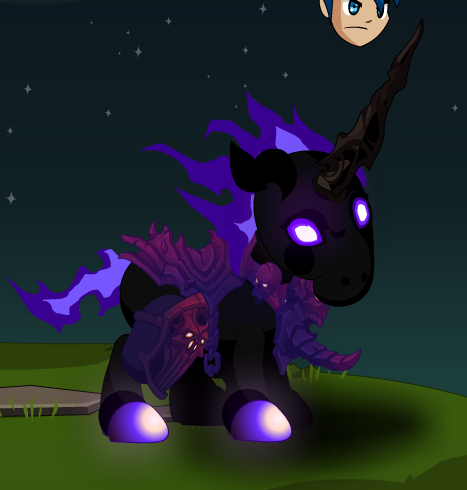 Description: Scalding flames of purple lick the air as this baby unicorn charges with you in battle. Fearsome, glowing eyes stare into the soul, ripping it to shreds slowly as you cut your enemy down. Paired with this fearsome youngling, you will not stopped. Thanks to LLBALDWINLL and Tendou no Mazo.